The season of all things spooky and trick or treating is almost upon us! We are back with another sewing tutorial and this time we are making the Trick or Treat Carry Along Bag! Great for storing candy, goodies and much more, this little bag is sure to be a hit this Halloween. We used the Dot Dot Boo! collection by Me & My Sister Designs for Moda Fabrics for our bag and we even have a complete Trick or Treat Carry Along Bag Kit with all the materials to make the bag! And that’s it! 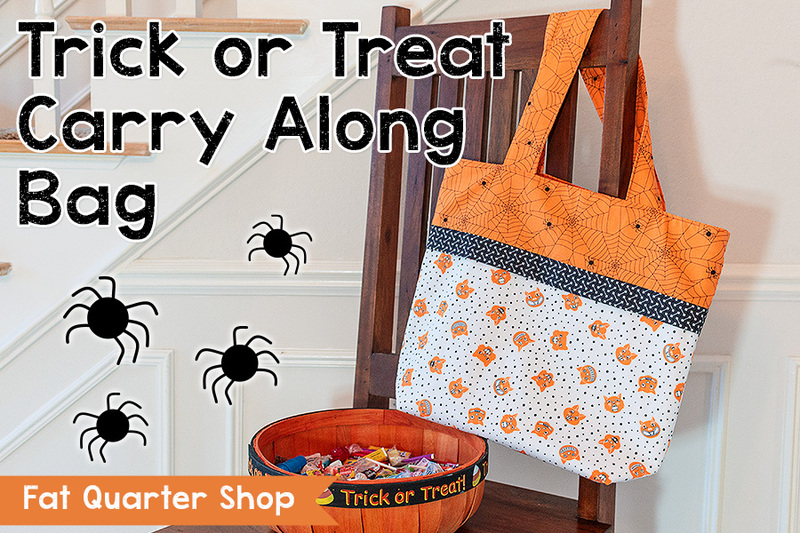 Be sure to grab your FREE Trick or Treat Carry Along Bag Pattern to get sewing. 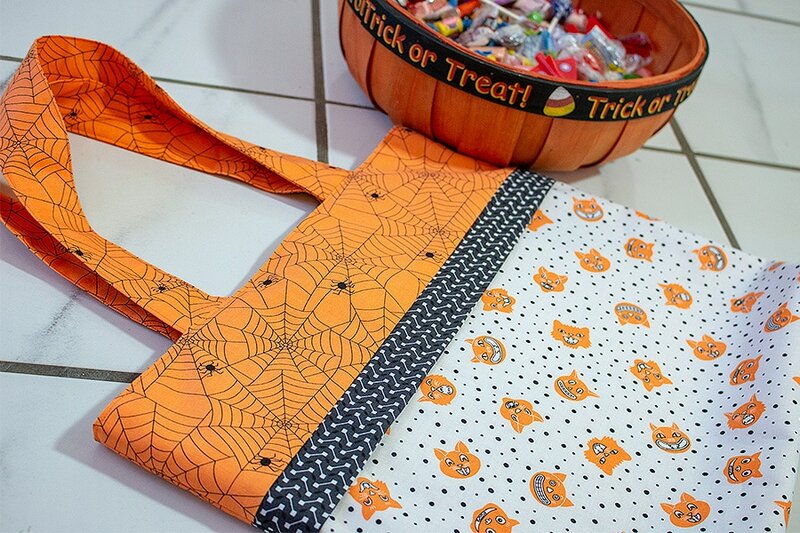 If you would like to make a bag just like ours, get the complete Trick or Treat Carry Along Bag Kit HERE! We hope you decide to make your own Trick or Treat Carry Along Bag and if you do, be sure to hastag #TrickorTreatCarryAlongBag and tag us (@fatquartershop) so we can see and share your work. Be sure to join us on Pinterest here and give us a follow! Save this adorable Trick or Treat Carry Along Bag on Pinterest to share with your friends or save for later!